Fuse Holders. - Factory Radio. ISO DIN radio provision with pocket. - Signal Processors. - Dash Kits. Honda: Civic 2006-2011. and includes everything you need to do the job correct including the dash kit. Also available in Taupe. See part 99-7816T. Accommodates DIN and 2-shaft radios. Fits all Honda Civic models. Contoured to match factory dash. If the item you chose is more or less money we will work out the price difference with you. Acura CL 1997-1999 Acura TL 1996-1998 Vigor 1991-1996 Integra Legend 1990-2001 Isuzu Oasis 1996-1998 Accommodates DIN ISO DIN and 2-shaft radios Snaps into dash opening Comes complete with built-in pocket that holds two CD jewel cases or two cassette cases . Will accommodate a full recessed DIN unit with a pocket Fits an ISO mount radio with a pocket Holds two ISO mount radios stacked Mounts a double DIN unit . Kit Features. • We strongly encourage professional installation of any electronic devices. • Warranty service will be refused if serial number of unit does not match that of serial number sold by us. This fascia can also be used on following XTRONS units Perfect fit for Your Honda. Matches the factory dash contourperfectly Allows the installation of ISO DIN or DIN mount radios Molded in the factory dash color High-grade ABS plastic . PanaVise InDash Mount for 01-05 Honda Civic Vehicles 75117-401 (#M99) Item is new, open box. Packaging has wear and tear due to storage and handling, this does not affect the contents. Please see images for more details. 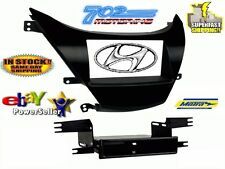 Single DIN Kit for 2013-Up. Stacked ISO DIN Head unit provision. Single DIN Radio Housing. Honda Civic Vehicles. Radio Installation Kits. Amplifier Install Kit. Install Dash Kit for Single DIN/ISO Radios. Holds Din or ISO Din units. • For ISO DIN and DIN mount radios. Honda Civic 2001-2005 w/ extra storage Pocket. • Honda Civic (2001-2005). • Rear radio supports included. • Patented "Side Arm Support System™ built into kit. Fits Select 1996 Honda Civic Models. Single DIN Radio Dash Kit With Wire Harness. For 1996-1998 Honda Civic Vehicles. Includes wire harness that plugs into car wiring - just match colors to your radio wiring and plug it in. Black dash kit. Finest material for good fit and durability. Camarillo . Civic 2006-2011. • Honda Civic (1999-2000). ISO Trim Rings are provided for a custom looking install. If the item you chose is more or less money we will work out the price difference with you. Fuse Holders. - Factory Radio. 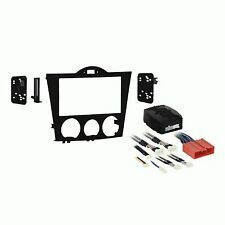 Kit Includes: Double DIN Trim Plate. - Signal Processors. - Dash Kits. - Installation Harness. - Neon Lighting. - OEM Harness. Allows for two stacked ISO DIN radios or a double-DIN radio using the factory brackets. Compatible wire harness: 70-1721. If the item you chose is more or less money we will work out the price difference with you. 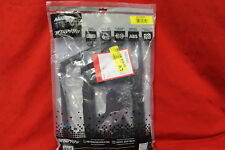 99-00 Honda Civic Dash Kit w/Pocket. HONDA CIVIC 2006. • Honda Civic 2006. Car specific CD Player removal and installation instructions included! DOUBLE DIN KIT. Designed to match the exact color and size of each vehicle. Holds Din or ISO Din units.